It is not easy to be a teen with a whole different world of problems. As a teen driver with a new license and the freedom to get behind the wheel, you may make a few mistakes. Some of these driving errors could prove quite serious and result in car damages, injuries or death. These would then also affect car insurance rates and increase the premiums. As per claims statistics, insurance companies do consider young drivers a high-risk, especially teens. Let us check out the top 10 mistakes that places young teenage drivers at a higher risk for insurers. There is a law prohibiting distracted driving in most provinces and it is for a reason. Many dangerous driving situations occur when you lose focus on the road. Be it texting on your phone, changing your music channels or even reaching for a quick snack, it could be disastrous while you drive. Teens do not realize the aftermath of such a distraction and mostly don’t care before using the phone while driving and thus cause a collision. Driving distractions could affect your capability to scan the road ahead. You may not be able to correct your position if you cannot detect the upcoming hazard during distracted driving. Driving skills is something that you practice and master over time; some may pick up fast while others may take a while. At times when you lack in skills and judgment of the road then you may swerve a little bit too much and lose control. This could be a dangerous move that may even cause a collision. Some youngsters lack maturity when it comes to driving and struggle to keep up to a safe speed limit. Yes, they may have taken driving lessons but the actual test is how they drive on the road in real time, especially in winter. If you have a teenager at home and you know their driving skills are not up to the mark then you may enroll them in a reputed driving school. This will give them professional guidance and may be a discount on premiums too. A young new driver may be either too cautious or on the other end be too risky for other road users. The latter group may just ignore traffic rules to get to their destination or break a speed limit. Any such driving could be risky and most of the claims data show that the young driver could have avoided the collision. These include not checking blind spots or using turn signals etc. And when you are young you may attend a party and without much thought get behind the wheel after a drink or two. A lack of experience may not let you judge the results of a sudden brake at a short distance away from trouble. The speed limits are posted for a reason and if you obey them it is safe for all road users. When you speed you are putting yourself in a hazardous driving situation and mostly teen drivers are the culprits. Whether it is game time or a weekend party you may tend to have more passengers at the back than you could handle while you are a teen. Too many passengers and conversations could easily take your attention away from the road and when you show off the blaring audio system it only adds more trouble. When you drive with too many passengers mostly your peers, you tend to drive in an aggressive mode, to prove yourself as a fast driver. This leads to collisions when you make an unsafe turn or a lane change. Teen drivers tend to drink and abuse drugs a lot and do not think twice before driving in such a condition. Drinking and driving is a dangerous combination that takes lives and is a punishable criminal offense. You may take many wrong driving decisions when you are under the influence of alcohol or drugs due to reduced response time. When you follow a car too closely without keeping a safe distance then that may cause accidents quite often. If your car is not able to stop short you may cause a rear end collision and an at-fault collision when you are young may affect your record badly. Young drivers pay more premiums than mature drivers and with a bad driving record, car insurance rates could spiral upward. 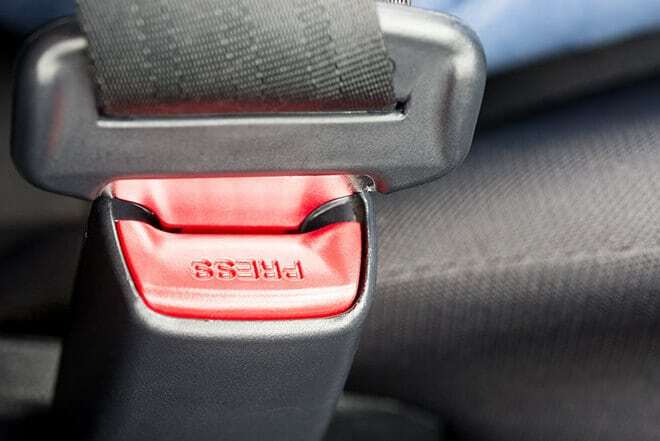 Seat belts eliminate serious injuries and reduce the severity of a collision but they can only help if you wear them. Young drivers tend to ignore using a seatbelt in a hurry to drive and get on the road but it could make a difference between life and death. Most cars do have a seatbelt warning for this reason and if you tend to ignore that too then you are putting yourself and others in danger. If you are not comfortable with the mechanics of a car then you may feel less confident and make judgment errors while driving. So, if it is a new car, take your time to know its features and technology before your venture out on the roads at full speed. Teens do have a liking for high performance or sports cars and these have high accelerating power. Also, large cars that are too difficult to handle may cause youngsters to misjudge and make a costly driving mistake. If you drive a car you don’t know how to operate then who is to be blamed for a collision? Late night parties and staying awake during the night may make your feel tired and sleep deprived the next day. In such a condition when you just can’t stop yawning and get behind the wheel, you are inviting trouble for yourself. As a teenager, you do need more sleep as you are more active than others and without enough rest, you may feel drowsy. Even if you are unwell and take a medication that makes you dizzy, that is dangerous for driving. Teens tend to work more than a job at a time and also attend school and with a social circle, time is too demanding to take a good nap. You may avoid an accident if you drive in a focused frame of mind with the concentration on your driving.